Overhead lights will guide drivers to available parks at Amaroo. Photo: Smart Parking. Coles selected global company Smart Parking to install its innovative guidance technology at Amaroo, where it will help direct drivers to available car parking spaces quickly and easily. Smart Parking said in-ground vehicle detection sensors had been inserted in more than 800 parking bays across the four sites. This allowed real-time monitoring of parking space availability, including disability bays, which is displayed on variable message signs at decision points to direct drivers, it said. 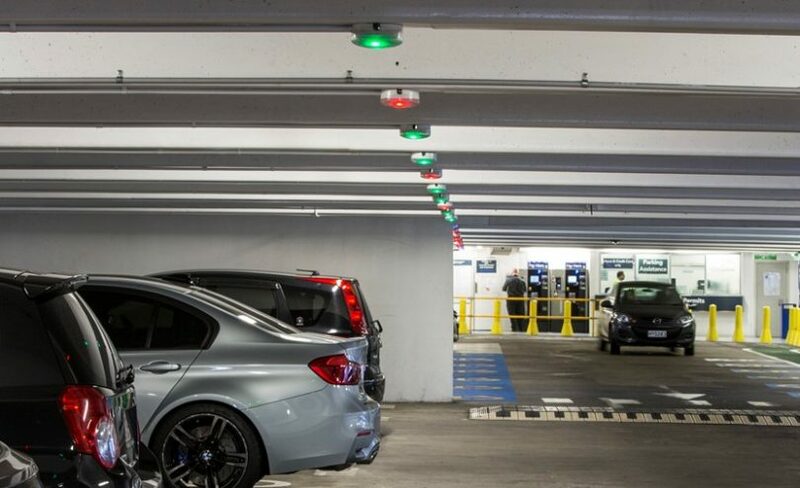 Amaroo will also feature Smart Parking’s overhead guidance technology in the basement car park, with clear green or red lights indicating whether a space is available or not. Blue lights will indicate disability bays. Smart Parking CEO Paul Gillespie said car parking was a customer’s first point of contact with a retailer, so it was important that the process was quick and convenient. The other sites are Drysdale, Geelong, Victoria; Aurora Village, Epping North, Victoria; and Kedron, Brisbane, Queensland. Do you find the overhead lights make parking easier?